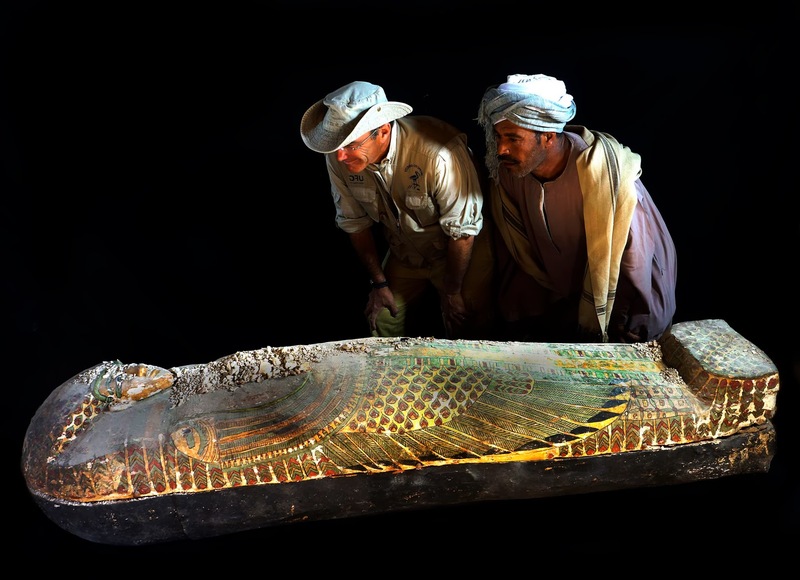 The Minister said "This discovery is important because this type of coffin is rare, it is called Rishi coffins (Rishi is the Arabic word for Feathery) as it is decorated with a feather design which is typical type of the Second Intermediate Period." 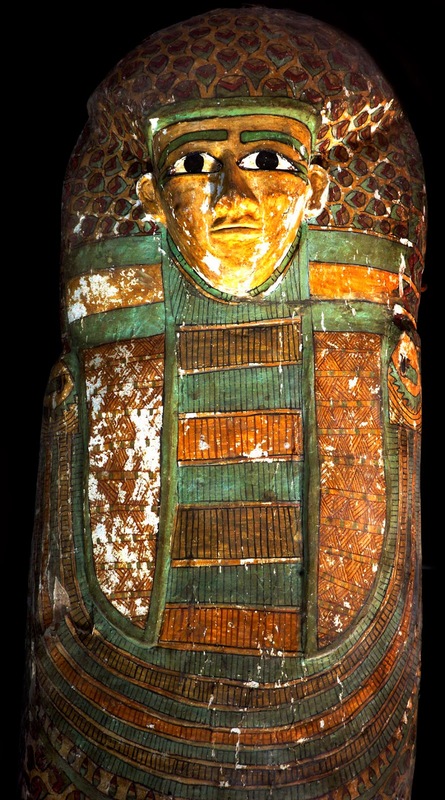 Ali Al Asfar, director of the Ancient Egyptian Antiquities department, said "The coffin measures 2 meters long , 50cm width and 42cm hight. The lid has exquisite carvings and the colours are very well preserved." 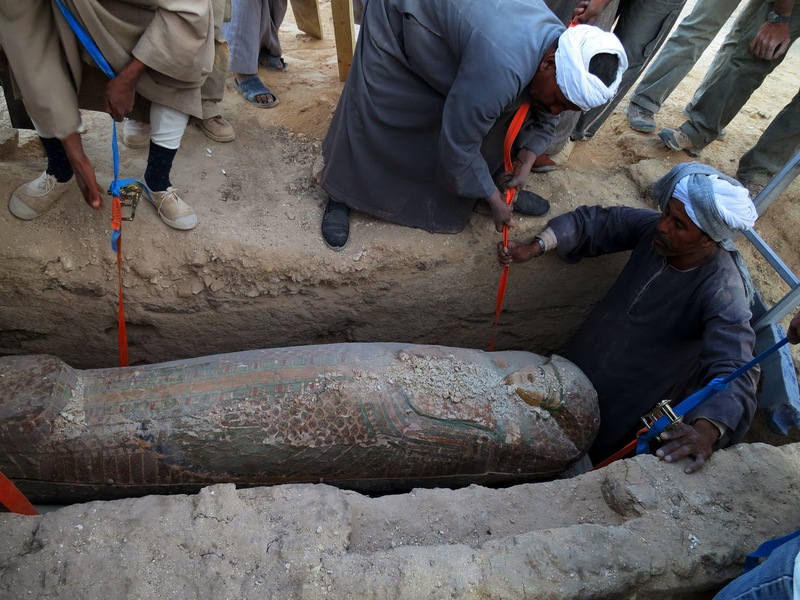 Abd El hamid Karar, director of Luxor antiquities said "The work started last month. In the beginning of this week, we discovered 3 burial shafts of which two were robbed by ancient tomb robbers while the third was found intact. The third burial shaft is 4 meters deep and it ends with a room in the southern side. That room was sealed with uneven mud bricks and when it was removed, the coffin was discovered." As for Dr. Jose Galan, he said "The mission has been working on Dra Abu El-Naga for 13 years. 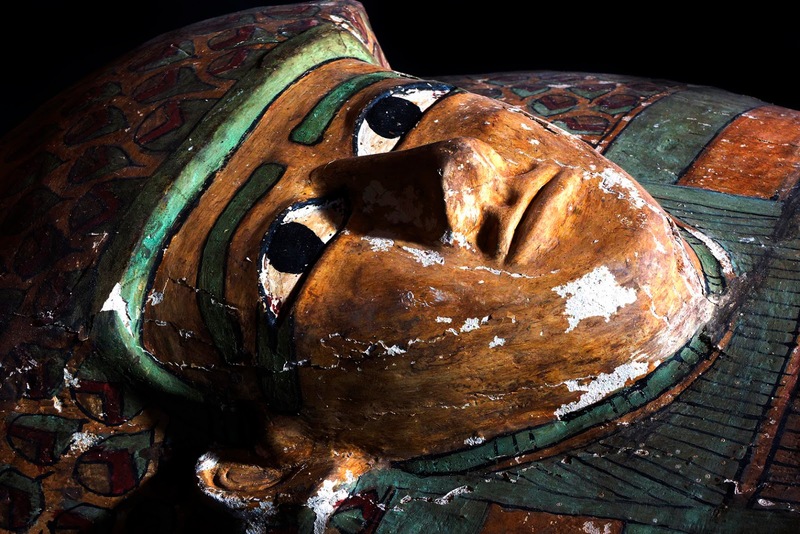 Last year, a wooden coffin for a 5 years old child was found dated back to 17th Dynasty beside a group of wooden Ushabtis wrapped in linen."